Thanks for coming to check out some of my work. Click on the graphic to get a closer look at any of these sites. If I can help you with your web design needs, please contact me for a FREE, no obligation quote. 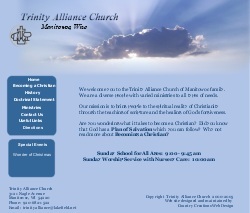 Trinity Alliance Church is affiliated with the Christian & Missionary Alliance. 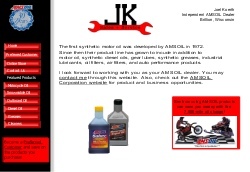 JK Sales sells AMSOIL products. This is a Calumet County snowmobile club. 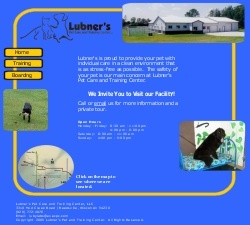 Lubner's Pet Care specializes in training and boarding of dogs and cats. 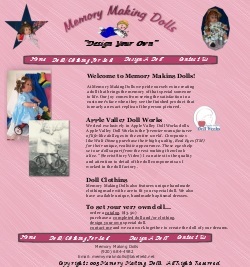 Memory Making Dolls sells handcrafted collectible Apple Valley Dolls. You can buy a complete doll or design your own special doll. Lakeshore Pedalers is a Manitowoc area bicycle club. 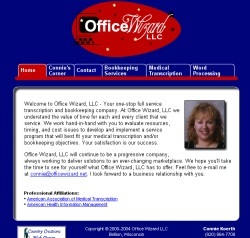 This is a web site we maintain. Since taking over the maintenance of this site we added an online application and transcripion testing process.